The essence of digital marketing and online shopping is increasing every morning. While the corporate world is marking its presence on online platforms, the concept of eCommerce stores has been accepted by startups and established companies at a remarkable rate. Today, tons of companies have marked their presence online through eCommerce stores. This feet has been possible for many companies due to advanced tools like WordPress and Shopify. Although establishing an eCommerce store is never easy, the user-friendly WordPress plugins and easily customizable interface of Shopify simplifies the procedure. On that note, here’s how you can create an eCommerce store using WordPress and Shopify. To set up Shopify, you need to visit its official website and signup by choosing an appropriate pricing plan. If you aren’t quite sure about the credibility of the platform, you may opt for a 14-day free trial. Upon signing up, Shopify creates a store for you by default. Once your store setup is done with your subdomain, it’s time to add products! For adding products, you have to dig into the Products tab from the Admin Bar. 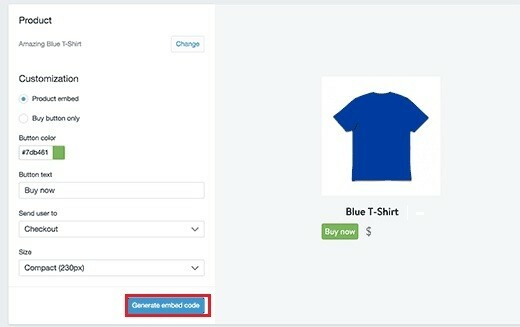 Here, you should choose the Add a Product option; following which you can enter the product details, such as title, description, product images, shipping procedure and price. Hit the Save Product tab to add your product. You may repeat the procedure to add multiple products to your eCommerce store. There are two ways of connecting WordPress and Shopify. First, you can redirect prospective customers from your WordPress site to the Shopify store. 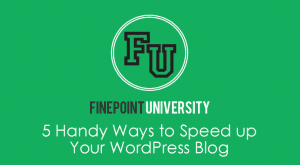 Second, you can integrate Shopify with your WordPress site. To begin with the redirect procedure, you have to add the Store link to your WordPress main menu. You may do this by navigating to the Custom Links section in the Menus tab under Appearance. Here, you should insert the Shopify store link. This will create a store section on your WordPress site. Whenever a visitor clicks on this link, he will be redirected to the Shopify Store page. If you don’t want to redirect visitors to a different domain, you may integrate the two platforms. To do so, you have to activate the Shopify Buy Button; which you may find in the App menu of Shopify. Upon activation, choose the products that you want to offer for sale. 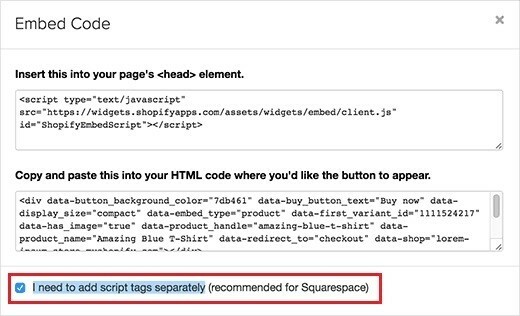 On the next page, you can review the products and generate an embed code. Once the code is embedded, tap on the “I need to add script tags separately” checkbox that divides the code in two segments. The first section should be saved in the header.php file of your theme. 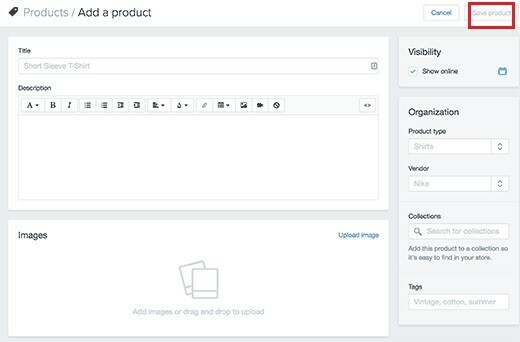 Now you can just add the product codes to any WordPress page or post. Upon completion, you may repeat the procedure to add more products on your integrated Shopify and WordPress platform. Your eCommerce store is now ready to be used for online sell of products. No more do you need to spend thousands of dollars on establishing an eCommerce store!